#1516191 --- 06/29/18 12:01 PM Who's in Charge here??? I was first appalled by the story that Mr. Meany came out with about the details of the City manager search with the release of one person's name and the release of the fact that the other two male candidates had strikes against them already. Then to read today's paper made things more clear. It seems like Geneva Believer and other groups are trying to convince City Council to choose their candidate of choice. I have faith that Council will make the right decision and choose the most qualified person to be the City manager. Not necessarily a person who has people campaigning for them like its an election. And to whoever leaked the information to Geneva Believer - you should be ashamed!!!!!!! If the assertions are factual, why should anyone be ashamed for reporting them? I for one don't want public officials serving in office who are guilty of such serious ethical and/or legal violations. The fact that someone has people 'campaigning' for them is completely irrelevant to their qualifications. If you have an issue with lack of transparency, then someone 'leaking' information seems the perfect antidote. The direction this selection process or better yet the reaction to it is disturbing. What I have issue with is that it appears that a single spokesperson/ blogger is now trying to subvert the review process. I'm all for transparency when selecting candidates and the process in general. What appears to be happening now is an attempt to circumvent the selection process. We have a representative democracy. You elect people to make the everyday decisions and handle the business of government. I guess the rule now is if you don't like the way elected officials make decisions you overrule them with social media campaigns. While being a watchdog is great there is that small step to becoming the non-elected authority. It's a temptation that we all should be aware of and avoid. There is a big difference between whistle-blowing (alerting the public after going through official channels of a REAL wrong doing or some threat to public safety) and leaking (the passing along of information in the hope to affect the outcome of what in many cases is a legal process). This isn't campaigning at all. It's hi-jacking of the committee review process thinly veiled as a cry for transparency. The recruitment for this job was very public and the committee list was not secret information. At some point do we hire a City Manager by public direct vote?? Seriously? At what point do you let the folks you elected do what they were elected for? Be careful what you wish for. You just may get it. before going to bed at night, the boogey man checks the closet for chuck norris. 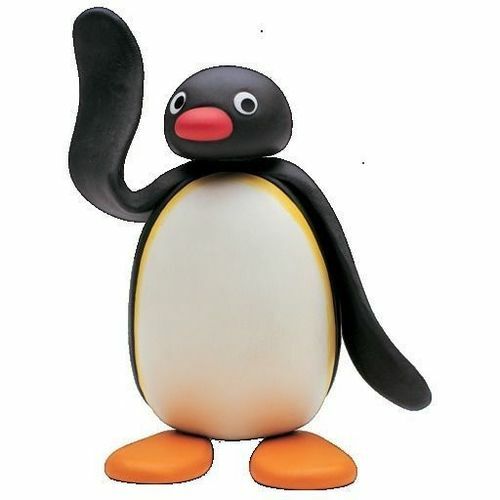 I'll second that, right on Pingu. I totally agree. Meany has an agenda and he will force his agenda anyway he can. Even pretending this is about transparency. And the City Council might be stupid enough to fall for it. I hope that when a vote comes each councilor has the courage to vote how they feel, not how people have told them to vote. A unanimous vote would be a farce! I believe each council member recommended people in their district to be on the selection committee. They then worked with their ideas. I would hope that they do not vote on how they feel but on the input they have received from the committee and their constituents. What I have issue with is that it appears that a single spokesperson/ blogger is now trying to subvert the review process. A single person with a blog cannot "subvert" anything in city government. I may write something on the blog that will prompt others to take action. Other times, I'll write something that people will mostly ignore. But the blog alone isn't going to do anything. I'm flattered that you are telling people that I am somehow more powerful than city government itself, but it's quite a stretch and not exactly logical. I'm all for transparency when selecting candidates and the process in general. Then you should be upset at the complete lack of transparency in the city manager search process. City officials claimed that they were using the same process they used in 2009 to select Matt Horn, but that turned out to be a lie. Dozens of cities publicly release the names of candidates, and many even hold public forums introducing the candidates to the people they will serve. Yet Geneva city council chose to go in the opposite direction. And if you're "all for transparency," then you should be pleased that the process has been made more transparent, thanks to a handful of sources close to the search. Or maybe you're not as much of a supporter of transparency as you think you are. What appears to be happening now is an attempt to circumvent the selection process. No, it's an attempt to circumvent unnecessary secrecy in city government. People were concerned for months about the lack of transparency because such a secretive process could end up elevating candidates that would not serve the best interests of the entire city. We have a representative democracy. You elect people to make the everyday decisions and handle the business of government. In a democracy we elect people, and then we hold them accountable, publicly. What do you suggest, that citizens should do nothing when they think their representatives aren't doing their jobs? We should just sit back and say nothing until the next election? Voting is only one small part of a democracy. Being an engaged citizen involves more than just voting every year or two or four. I guess the rule now is if you don't like the way elected officials make decisions you overrule them with social media campaigns. Social media is ubiquitous in the political life in America. If elected officials are being unnecessarily secretive or are making decisions that could harm people, then the people should use a tool such as social media to let their voices be heard. Plus, there's no guarantee that elected officials will even respond to public pushback, either, so the idea that a social media campaign can "overrule" government decisions makes no sense. While being a watchdog is great there is that small step to becoming the non-elected authority. It's a temptation that we all should be aware of and avoid. Sorry, but this is ridiculous. Holding government accountable, even when it involves leaked information, is the duty of every citizen. Issuing this kind of bizarre and vague warning serves no purpose other than put the watchdog under suspicion, rather than discussing the facts that have been exposed. Not really a "big" difference, if any difference at all. Plus I'm not sure where you came up with your definition of "leaking," but it's spurious at best, and implies ulterior or selfish motives for anyone who leaks information. Sure, leaks can sometimes be motivated by malice, but in this case, it's precisely the opposite. Would you like to talk about Martin Murphy and Rick Finn? Or are you only interested in talking about a blogger? This isn't campaigning at all. It's hi-jacking of the committee review process thinly veiled as a cry for transparency. From the beginning of the city manager search process, Geneva Believer has called out city council for a lack of transparency, every step of the way. City councilors responded by assuring everyone that the process was fair and that it would result in the best available city manager for Geneva. Do you think that, after a nationwide search, Rick Finn and Martin Murphy are actually the two best possible candidates for the job? The recruitment for this job was very public and the committee list was not secret information. The posting of the job was very public. The fact that the committee was being selected was, indeed, "secret information," as the city didn't publicly announce they were even forming a committee until the committee's roster was nearly completed. At some point do we hire a City Manager by public direct vote?? Seriously? Nobody has ever suggested that. At what point do you let the folks you elected do what they were elected for? Again, this philosophy of "they were elected, let them do their job" is another way of saying "the public shouldn't be holding elected officials accountable except by voting and they need to shut up." That's not participatory democracy. In fact, I'd offer that it's completely undemocratic. I'll give you credit for trying very hard to paint this whole situation as some kind of scary and undemocratic hijacking of a city government process. But really, why are you talking so much about a blog and about whisteblowing and leaking and everything EXCEPT the candidates in the city manager search? Two candidates were named, and both have a long list of serious allegations in their past. The front runner, Rick Finn, left every city manager job he has ever held under a cloud of controversy, with accusations of harassment, discrimination, misconduct and racism throughout his career, including lawsuits. Martin Murphy had accusations of financial misconduct and was forced to resign his last city manager job in Oneonta due to allegations of mistreatment of city employees. Hiring a city manager with the credentials of Finn or Murphy is not okay for Geneva. Matt Horn was city manager for nine years, and even though I'm not a fan of Horn, he was never accused of mistreating employees, discrimination, or racism. As far as the idea that Geneva Believer was "campaigning" for Sage Gerling, I suggest you read the blog articles in the order they were written. There were three candidates in the running: Finn, Murphy and Sage Gerling. Yes, I voiced my support and encouraged others to voice their support for Sage, too. But mostly because the other two candidates were absolutely awful compared to Gerling, but also because Gerling is an excellent candidate and as the interim manager, should have been considered the front-runner the moment she submitted her application. Thank you for your reply. It speaks volumes. Then you should be upset at the complete lack of transparency in the city manager search process. City officials claimed that they were using the same process they used in 2009 to select Matt Horn, but that turned out to be a lie. No, but the process in 2009 included several community forums (in 2018, there were none) and the formation of the community search committee was announced within 20 days of the prior city manager announcing his departure (in 2018, the formation of the committee wasn't announced for nearly 4 months). Neither process was transparent by any measure, but 2009 was more transparent by definition. "Yes, I voiced my support and encouraged others to voice their support for Sage, too. But mostly because the other two candidates were absolutely awful compared to Gerling, but also because Gerling is an excellent candidate and as the interim manager, should have been considered the front-runner the moment she submitted her application." I had "reservations" about the process, but not about Gerling's experience. Another search would be costly and time-consuming, and City Council already made it clear back in May that delaying the search by even a couple of weeks was not an option and that the search needed to be complete by late summer. I guess my biggest issue is that how do you know any of these things? Where do you get your information and how do you know any of it is true? You tell people in your blog all of these things, but how do know any of it is factual? I have read your blog and I'm all for accountability, but it has to be truthful. I know for a fact that some info you've put in there, simply isn't true. It's an issue when you don't post comments from people who disagree with you. I am glad you've decided to come on this forum and post. That's the problem with lefties, no one is allowed to have a different opinion. I guess my biggest issue is that how do you know any of these things? Where do you get your information and how do you know any of it is true? You tell people in your blog all of these things, but how do know any of it is factual? It depends on what "information" you're talking about. The information related to the city manager search was obtained from credible inside sources and I'm 100% certain of the veracity. I take my responsibility to provide factual information very seriously, and if I'm posting information from unnamed sources, I vet those sources accordingly. I have read your blog and I'm all for accountability, but it has to be truthful. I know for a fact that some info you've put in there, simply isn't true. Then give me examples. Send me a message with evidence that whatever I'm saying is not true. I have posted corrections on the blog in the past when I've found out that I provided inaccurate information, and I will continue to do so. Otherwise, you're just calling me a liar without any evidence, which doesn't help anyone who is interested in the pursuit of truth. It's an issue when you don't post comments from people who disagree with you. That's not true. I delete comments on my Facebook page ONLY when they call into question my motives and ignore the article that's been posted. I don't approve comments on the blog that fit the same criteria. For example, "I think the city manager process has been sufficiently transparent" would be an example of an opposing viewpoint that I would allow. "You are only posting this story because you want attention and you are a lefty" would be deleted or not approved. And before anyone cries foul about "free speech," you don't have the freedom to say whatever you want on any privately owned website. I have put hours and hours of my own time and resources into writing the blog and maintaining the Facebook page, and if people want to question my character and make claims that I have an "agenda," they can do so somewhere else on the internet. I am glad you've decided to come on this forum and post. That's the problem with lefties, no one is allowed to have a different opinion. If you say "the city manager search is not transparent" and I respond by saying "you don't know what you're talking about and you have an agenda," that is not a "different opinion." That's an ad hominem attack that ignores and distracts readers from the issue being discussed. And Geneva Believer has readers and supporters across the political spectrum, including many people that would be considered "righties," because issues of misconduct in government is something that resonates with people of all political and social backgrounds. Fair enough, I'll be getting back to you. Thank you for taking the time to answer back. I really do appreciate what you do. I don't agree with majority of what's said, but I can respect different opinions. Thank you. You're welcome and thanks for the discussion. Look forward to hearing from you. Seems like it'd be useful for the city to host a public forum where residents could pose questions to the finalists. Residents could then provide the committee with feedback. I'm not sure. Are you saying you know this for a fact? To my knowledge, a councilor can only be investigated for an ethics violation if this occurs. GB, please spare me the "I'm perplexed", "I'm flabbergasted" nonsense. I stand by what I said, that's why i said it; duh!, and, I say we need to continue the search for city manager. Sage Gearing by default will not do. The whole mess just seems like a not so clever plan to get Gerling the CM job. It stinks! Forget about Flynn Murphy and Gerling. Time to move on. A minor matter at this point, but you have poor reading comprehension skills, or something, 'cause i never suggested Gerling was weak, nor did i recommend we go back to Flynn and Murphy. It would be a Herculean task to parse your written language, but i detect a lot of slimy seaweed in amoungst the words you choose to communicate your take on things Geneva. Mixing fiction with fact, twisting words to suit your argument, quoting unnamed sources and basing an argument off of that is just not going to get you any much needed "street cred", at least not from me. The sources didn't "intervene." They provided the names of the final three candidates when they were available. I don't expect my sources to give me all information about everything all the time. And the information was given to me due to very real concerns about the backgrounds of Rick Finn and Martin Murphy. Do you, or anyone else, want to talk about Rick Finn or Martin Murphy? Then can you offer some reasons? Can you give at least a couple of examples of how Sage Gerling ignores the needs of the working class that you claim to be championing? "I stand by what I said" isn't terribly convincing. Forget about Flynn Murphy and Gerling. Time to move on. No, I don't think anyone should "forget about" the fact that Finn and Murphy were the two top favorites of council. I want to know why. I want to know which councilors thought, out of 21 applicants, that Rick Finn was the best choice for our city at this time, and why. A minor matter at this point, but you have poor reading comprehension skills, or something, 'cause i never suggested Gerling was weak, nor did i recommend we go back to Flynn and Murphy. You said that she would not be able to represent the working class, which I construed as meaning she would be a 'weak' advocate for the working class. And I guess I am also a little baffled at how you and others want to talk about leaks, talk about me, and talk about everything except Rick Finn, Martin Murphy, and how the hell we ended up with them in the top two candidates. That's why I keep bringing them up, but it's apparent that, so far, nobody on this forum seems to want to talk about that aspect. It would be a Herculean task to parse your written language, but i detect a lot of slimy seaweed in amoungst the words you choose to communicate your take on things Geneva. Mixing fiction with fact, twisting words to suit your argument, quoting unnamed sources and basing an argument off of that is just not going to get you any much needed "street cred", at least not from me. "Hurculean task?" You flatter me. I think you can keep up with what I'm saying, you just choose not to. And if my sources were wrong, there would have been denials from the city, especially when the story was covered by the Finger Lakes Times. Anyway, I'd still be interested to hear your take on why Finn and Murphy were the top two candidates, and what led you to believe that Gerling would not be a good representative of the working class. GB, You're exhausting! I fear I've fallen into that bed of seaweed you live in. I must go now if i hope to save myself from your relentless onslaught of almost-true, but really not-quite-true facts, accusations and taunts. I have no more interest in this subject at present. You have drained my blood of interest. Ah, I see you're using the old "accuse the other person of half-truths and taunts and then feign disinterest when you find yourself losing ground in a debate" ploy. Yeah, I think it's best you step away from this one now, but if you'd like to have an actual discussion, I'm always around. is it true that the city, ontario county and NYS have their own website to post it on? if you do not have all the facts how can you even make any proper decision? what do you mean you are not sure? do you even know why they go into executive session? are you saying that if a councilor releases CONFIDENTIAL information talked about in an executive session you do NOT consider that an ETHICS VIOLATION? I want to know why. I want to know which councilors thought, out of 21 applicants, that **** **** was the best choice for our city at this time, and why. did your trusted 'insiders' not give you all that information? You originally suggested that they "do another search." But now you're suggesting something completely different, which is to use the list of applicants from 6 months ago, which is already an outdated list as some applicants have already found jobs, and the list would not include any candidates who have started a job search in the last six months. Posting a job online for a national search does, in fact, cost money, both in listing fees and the time it takes for city staff to list the jobs. They can't just take a few minutes to list the job on local government websites and call it a "national search." I hope this helps clear up some of the misunderstandings you have about the search process. My point was that my sources weren't giving me daily transcripts of every last detail and occurrence inside the search process. That's usually not how sources work. I hope this helps you to better understand how journalistic sources work. I am not 100% certain that city councilors sign an agreement swearing that they will not reveal anything said in executive session. I am 100% certain that they cannot face "charges" for revealing executive session material, as you claimed. After deeply researching the subject of executive sessions related to past articles I've done about transparency, I am quite confident that I know the reasons why executive sessions are held. I hope this helps you to understand better. That would depend on the information released. If the information should not have been withheld from the public and discussed in executive session, I would not see it as an ethics violation. Also, if the information could cause harm to the city by being withheld, I wouldn't consider that an ethics violation either. They did not give me all of the details of why councilors had Finn and Murphy as the front-runners. There also are some details that they did give me that I have withheld for my own reasons. Also, you don't need to censor Rick Finn's name when you post it. He has already been hired by another city, and he already confirmed that he was one of the candidates for the Geneva job. bluezone, what's your opinion on Rick Finn? GB, What's the point of continuing to dog Rick Finn. He's out of the running now in Geneva. Let him go. My sources tell me he's working in Watertown as their city manager. Watertown took him on. What's the point of your continuing to harass him. He's not relevant anymore to Geneva's search. Let him live his life. I think there should be meet and greets just like what's being done for the police chief candidate. Mike Passalacqua is the candidate who's been promoted from "within," isn't Sage a candidate from "within"? People were up in arms that the proper procedure wasn't being followed for the chief selection process, are we certain the proper procedure is being followed for the next city manager? Why are these candidates not going through the same process as Mike? If people are so concerned for the future of Geneva, why aren't they having these candidates go out and talk with the people they could potentially be serving? Pretty hypocritical in my opinion. I like Sage and would have no issue with her being the next city manager, but what's fair is fair. Rick Finn was city council's top candidate for the job. I think that's disturbing and that city council needs to explain themselves. And people need to keep asking why the process resulted in Finn and Murphy in the top two. The fact that you're trying to stick up for Rick Finn, but have never once even acknowledged his shortcomings in this thread, is quite telling. It's weird that you accuse me of "continuing to harass" Rick Finn, considering that I've never harassed him. Oh, stop it man! Im not sticking up for anybody. Im just saying let Finn live his life. Your quarrel is with the city. My sources tell me Finn has defended himself very well against accusers. Watertown has taken him on to serve their city. Let it go. Gnaw on the leg of the city if you must. But stop stalking this fellow. It's nasty what you're doing. He's gone from here. Let it go. That's enough of you for me today. You are annoying in a sick and unproductive way. You want to see this man hurt. You're bad news. Initially, I shared concerns that other posters mentioned about what could be interpreted as biased one-sided coverage in Geneva Believer's blog. it does help understand you better, you don't know anything about executive session, period. Unless you are playing your usual game of misleading the public. Can you be specific and tell me what I'm missing regarding executive session? How does anyone know who the "frontrunners" are? What specifically has the one candidate done? Accused is different then proven. Is the committee done with their work(interviews, etc.)? Sadly, time and time again, this is Ruby's predictable go-to response when called upon to defend his/her own arguments. Ruby demands courtesy and respect, but can't be bothered to reciprocate. An odd set of debate skill to be sure. Timbo, I take it you don't approve of me and my online ways? Wishing perhaps I were more like you! The guy was on a long self-absorbed babble fest, and was putting words in my mouth, things i didnt say. I didnt feel the need to hop too and answer any question he put to me. It wasn't about me really, he just wanted to get his thing out there and show some dominance ... a clever relevant man with sources. That exchange between he and I speaks for itself. Reread it if you dare and you will see. I wish I could say I'm sorry I don't measure up to your standards, or expectations of me, but you also have your online ways, and you have never been a role model for me. if you are disappointed in me, it is to be expected. Timbo is a douche who happens to know how to use a thesaurus. Careful you don't choke on those big words. Dink. Don't give me that crap. You were asked a simple question to bolster your argument. You bolted the debate when confronted by a perfectly legitimate question concerning your position. You are a fraud and hypocrite. End of debate. Ah yes, the classic "berate someone for knowing more than I do" maneuver. Wont happen, because like bluezone and ruby, the woodchuck never holds himself to the same standard of debate accountability that he demands of those he engages. You just sound like a tool is all. What was your high school superlative, "best online debator in a dying online forum discussing the goings on of a small city?" You've really carved a niché for yourself. Grow up man. As compared to what... posting in a dying discussion forum, baseless ad-hominem attacks in absence of an actual argument? God, I love situational irony! 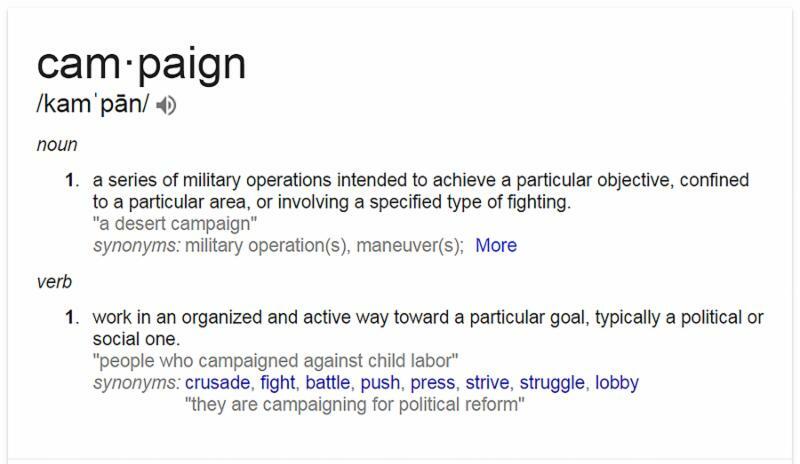 The fact that someone has people 'campaigning' for them is completely irrelevant to their qualifications. If you have an issue with lack of transparency, then someone 'leaking' information seems the perfect antidote. This isn't campaigning at all. And what better way for a constituent to express their opinions on the subject than to create a popular blog in which to draw the most attention to the subject? alleged 'issue' of the release of candidates names is ultimately immaterial. Okay, so the red herring of some councilor leaking information has played out just as expected because it likely was NEVER a councilor that did it. Even so, the fact that information from an executive session, attended by several persons not councilors, was leaked is still a breach of trust. this is why the discussions are kept private to prevent others from exercising undue influence on the process. Staff present at such meetings are still held to the rules for disclosure. That is the issue here. All else is just a distraction to justify the actions of those not tasked with the job at hand. All else is just a distraction to justify the actions of those not tasked with the job at hand. Let's not jump from one assumption directly to another, shall we? you do it all the time TIMBO ! Exactly scwoodchuck. City council, which does include Sage BTW, has been a mess for years. I love how these libtards think things are going to change, like some big revolution is going to happen. Well, I've got some news for the social justice warriors out there; nothing is going to change because this city is liberal, and liberals are regressive. Less focus on Libtard Street, sorry I meant Linden Street, and more focus on cutting the outrageous property taxes we have in this city. For what you pay in property tax, you get garbage in the streets, pot holes, unplowed roads, unmowed lawns, etc. This council doesn't care about "the people," they care about downtown and attracting tourists. How about the people who already live here!? This city will not progress until we have someone in there who isn't affraid to ruffle some feathers. This city is a regressive dump and has been for the 36 years I've been here. We're a joke. Find even ONE example and I'll permanently close my FL1 account. But you can't, because I don't. Not EVER. Unlike certain individuals on this public forum, I make it my duty to learn from the facts when and IF they are proven to me, and I certainly don't reflexively wallow in my own misconceptions and ignorance only to 'gaslight' those who've actually taken the time to educate themselves, regardless of where those facts lead. You might try it sometime. Wow... sage words from one of the community's towering intellects. This city is a regressive dump and has been for the 36 years I've been here. Do you possess any thoughtful ideas of programs to implement that would actually help in cleaning up this so-called "dump" as you refer to Geneva? ...the 36 years I've been here. We're a joke. After all those years, you'd think that 'MOVING' would have crossed your mind. Timbo. You're one for factual based evidence, so tell me this; what of anything I posted is not true? Are you telling me that property taxes aren't high compared to other municipalities in the area? Are you saying that there isn't garage in the streets? Are you telling me that our streets aren't in disrepair? Grow up man. You don't have to be here too long to see any of these things. People are moving out of city because the middle class can't afford to live here anymore. I would have loved to move out of this place years ago, but sometimes we need to make some compromises,even if they are big ones. I think Geneva can be a great place, but it's been in a funk for a long time. Oh and why don't you go play in traffic? Oh and it's not my job to come up with programs. I just think some of the powers that be have their priorities messed up. We should be focusing on lowering property taxes and encouraging people to come live here. It's hard to do when more than half your property tax base is section 8 or tax exempt property. Do you have any programs that would help? How would you suggest helping the people in this city who need it? I'm talking about the middle class. 90 percent of people I talk to tell me they would never buy a house in the city, why? Because of taxes, crappy street conditions, garbage, etc. How does one convince them otherwise? What are they getting for their money? Regarding the struggles of the working class in Geneva: I've never seen it as a 'liberal' vs. 'conservative' issue. Councilors from both sides of the aisle have been failing to act on the increasing tax burdens on the working class and the growing poverty rate in the city for years and years. Matt Horn said his biggest regret was that during his time as city manager, downtown became "revitalized" while the poverty rate continued to grow unabated. That's because it was never a priority of Matt Horn to do what was best for ALL Genevans of all income levels. The reality is that Geneva has some VERY major decisions to make in the next few years regarding our budget. It's simply not sustainable. Major changes need to be made or else taxes will continue to rise, which means less home ownership, which means more slumlords, which means more poverty and more crime. Lowering taxes would require a council with guts and determination who will do what needs to be done in the best interest of everyone. And if that time comes, the public also needs to stand up and support those councilors in their efforts. They've come close a few times in recent years but have never gotten over that political hump. When the Comprehensive Plan was about to be approved with the recommendation of spending the lowest possible amount on a new Economic Opportunity Task Force to actually do something to address poverty in the city, it was Sage Gerling who worked with Horn to correct the issue in the Comp Plan and make sure the task force had the proper funding recommendation. When the city has done public forums on the issue of economic opportunity and poverty, Sage Gerling has been at those meetings, speaking with people from all different backgrounds and circumstances. As the city has addressed the issues facing the working class and poor folks whose lives were turned upside down by the Foundry disaster, Sage Gerling was there talking to the people. Look at the people who vocally supported her for city manager...it wasn't just wealthy business owners and HWS professors. People in the city who are struggling were some of her loudest supporters. Sage is no pushover. She is willing to listen and acknowledge what people have to say, but she's not always going to give them the answer they want to hear. She's tough when it comes to doing what she feels is in the best interest of the city. With Adam Blowers as (hopefully) assistant city manager, we've got all the financial know-how we need. My understanding is that Adam is very fiscally conservative and knows that the city is heading towards some difficult times if we don't change course. The status quo isn't working. The working class have had enough. We're tired of the old guard. We're tired of watching a small number of people thrive because of who they know while the rest of us struggle. The city is in FAR better hands now than it was last December. Good riddance to Horn and the conflicts of interest and, yes, corruption that he represented, and let's welcome the "new" guard at city hall who will hopefully act in the best interest of the people, always. First of all, I never made any of those arguments, and you still won't provide any specific, workable solutions. You're just carping over allegations. What are the supposed problems (as you see them) and how specifically should they be addressed? Apparently you believe there's a traffic congestion issue. And please keep in mind... the whole country has been in a funk for a long time. It is, if all you're gonna do is Grouse about things as if the solutions should be obvious to everyone, and FYI... YOU'RE the one taking issue. The onus falls upon you to offer productive solutions, not me. To suggest that the city isn't actively "encouraging people to come live here", is not only completely untrue, but flat-out ignores many, many projects currently and soon-to-be implemented in pursuit of that precise outcome. You'll forgive me for saying, but it sounds to me as if you're suggesting that we cut taxes by taxing even further. If you think the middle-class are currently experiencing difficulties, just imagine how those on (let's say) section 8 must be getting by. It's one sticky wicket, to be sure, but Geneva Believer hits it out of the park by alluding to a clear cause-and-effect of past policy and lack of political courage. It's quite obvious we need to define poverty. It's my opinion there is no such thing as "POVERTY" in this country anymore, even the homeless are not dieing in the streets of starvation. When was the last time someone froze to death in Geneva ? Supposedly everyone gets a free education, there are plenty of opportunities even for the disabled. There are help wanted signs at just about every business. When the starving children are on average 30 pounds overweight someone needs their head examined. Social Justice ain't gonna fix STUPID or lazynes. it's best to let him think so, that way we don't have to put up with his narcissistic pompus superiority complex. What you call pompous narcissism is simply an informed, zero-tolerance for pridefull ignorance. If that results in superiority, then so be it. Besides, what would you know about social justice? It's never had a chance to actually be implemented, has it? Poverty has already been defined LOOONG ago. You just don't like the fact that it flies in the face of your blatantly self-codified narrative. did the current city manager take a salary reduction to cover the cost of the assistant city manager? is the yearly true cost for both over $300,000? We now have a City Manager, Assistant City Manager, Assistant to the City Manager and the Secretary to the City Manager. Wow seems a little top heavy to me when all the money that they had in savings is gone or nearly gone with the previous City Manager. I see some substantial struggles in the future for the City of Geneva. Sad that there wasn't more oversight. When you hire someone with no managerial experience or skill, what would you expect? Many were concerned about appointing someone that couldn't say "no" to staffing suggestions. Where are the City counselors on this issue? Obviously they not worried about the excessive spending that continues to go on. We now have a City Manager, Assistant City Manager, Assistant to the City Manager and the Secretary to the City Manager. News 10 WHEC TV in Rochester reports taxpayers paid high prices for items at the new welcome center. One small, 10-inch frame for a sign that says the canoes were donated cost over a thousand dollars, and two bathroom signs cost over 6-thousand dollars. is the contract for that position one year? wonder why the 'blogger' has not spoke out about the money being spent? Because the blogger is part of that far left socialist group that wants to reform Geneva and wants to run for office with other Alt-left "friends". We are in trouble. Geneva's New Green Deal team is going to break us all.